Meet Your Neighbor Sarah Nelson of Biggsville, born in the former downtown Burlington Medical Center in Burlington, Iowa, and raised across the river here in Biggsville. Sarah is the daughter of David and Cindy Nelson. Her father David works for CGB Twomey Group and her mom Cindy works at Great River Women's Health. Sarah says, "I could not have made it through nursing school without their love, support and encouragement." Sarah has one sibling: Zach (Jaylin) Nelson. Zach will be 25 on September 11th (his star birthday was on 9-11) and he works at Case-New Holland and wife Jaylin works for Small World Daycare Center in Stronghurst. Sarah's grandparents are Connie and Gary Henry of Carman. Her grandpa Gary is retired from Case in Burlington, IA and CGB/Twomey and Grandma Connie is an office manager at Bowlyou Tax & Accounting in Carman. Sarah attended Union schools from kindergarten through 6th grade and then the consolidated West Central schools from 6th grade through 12th grade. She graduated from West Central High School in 2012. While in high school, Sarah participated in volleyball, youth coalition, NHS, and was Class President. In May of 2015 she graduated from Southeastern Community College with an Associate Degree in Nursing. Sarah is currently employed as a Registered Nurse at Great River Medical Center in the O.R. (operating room). 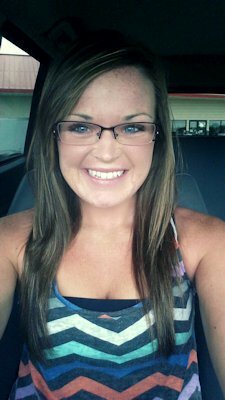 In the past she has worked as a lifeguard at West Burlington, IA pool, and at GRMC as an intern in the O.R. Her hobbies include spending time with family and friends, playing sand volleyball, being outside enjoying the sunshine, and spoiling her nephew, Jaymeson Nelson who is four years old. She is a member of New Life Family Church, Burlington, IA. She also enjoys attending and participating in car shows with her dad and doing zumba at the gym with her mom. Special family vacations, she recalls, are going to beautiful Clearwater, Florida. Sarah's future plans are continuing on in her nursing career with furthering her education and simply seeing where life takes her. Her motto is "Always, always put God and family first and everything else seems to fall into place."